Chanelle has over 1,700 animal health licences registered in the EU and 500 in the rest of the world – the largest number of registered veterinary licences of any company in Europe. In its human division, it has over 1,100 licences registered throughout the world. In 1996, founder and managing director of Chanelle Michael Burke saw the potential for generic animal health products in the EU. He was undeterred by how difficult it was to penetrate the main markets such as France and Germany at the time. “When we started out in the mid 1980s we concentrated on exporting to South America and the Far East as it was easier to get products registered in those markets,” says Burke. “I made the strategic decision to pull out of South America and concentrate on the EU in 1996 as I felt there were better opportunities there in the long term and it was a higher price market. Tom Kelly, Head of Industrial, Lifesciences and Consumer Division at Enterprise Ireland, says Chanelle’s success in the EU should be attributed first and foremost to Burke’s leadership. Kelly points out that Burke was coming at Chanelle’s European growth strategy from a position of deep knowledge, not just of the marketplace, but of the products he was bringing to market. 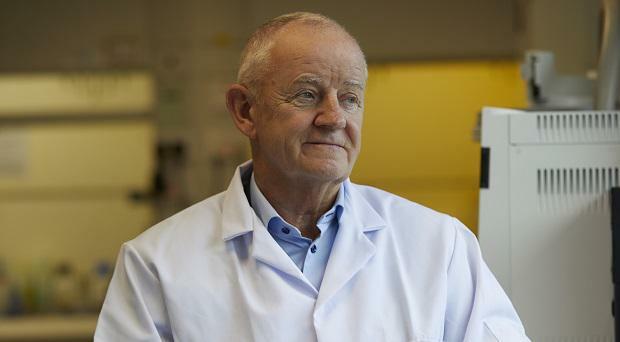 Having qualified as a vet in 1970, Burke ran his own practice in Loughrea up until 1985 by which time he was getting products manufactured under contract in the Netherlands, France, Germany and Belgium. “I spotted an opportunity for generic animal health products for export long before I started the business. It was a small beginning with only two staff in a 40,000 sq ft warehouse but we have grown organically every year since,” says Burke. Chanelle is in the process of completing a 30,000 sq ft expansion of its 300,000 sq ft facility in Loughrea as part of a €70m investment programme supported by Enterprise Ireland. This will double production capacity at the site and lead to the creation of 175 new jobs over the next five years. Kelly says Chanelle’s focus on generic pharmaceuticals has been critical in driving its growth and expansion, in particular the expertise it has built up in terms of developing the product pipeline. Burke notes that bringing a generic pharmaceutical product to market is a long process requiring a significant investment in R&D. Seventy people work in R&D at Chanelle Group, including 40 based at its laboratory in Amman in Jordan. Aside from the research around which products to focus on, there are various clinical and environmental trials required to ensure formulations work as effectively as the original patented products and conform to certain standards. “We have to work on human health products seven years in advance of them coming off patent and it can take three years or more to bring an animal health product to market,” says Burke. Ireland is recognised as being one of the four major locations worldwide for pharmaceutical manufacturing, the others being Singapore, Puerto Rico and the US. Irish biopharmaceutical, pharmaceutical and chemical exports of €64bn (in 2015) are dominated by multinational companies. However, Chanelle is part of a small cohort of indigenous Irish pharmaceutical manufacturing companies which are making inroads in international markets including mainland Europe, according to Kelly. These include Bimeda in Dublin, Univet in Cavan and CF Pharma in Kilkenny. Other companies are achieving success in the related areas of clinical trials (Icon Clinical Resarch, Dublin), packaging of tablets (Millmount Healthcare, Meath) and the provision of software systems (Zenith Technologies, Cork). “There is considerable opportunity for Irish companies which supply or support the pharmaceutical sector to take their offering globally,” says Kelly. • The number one lesson I have learned in relation to exporting into the EU is never to give up. You have to keep trying and submitting the dossiers – no matter what business you’re in. Perseverance and persistence have been a huge help to us as a company. • The key to our success in the EU has been having a clear strategy. You need to know what you’re about and what your goals are. I am a great believer in keeping things simple. We have a simple way of operating and it gets us places. In the past five years we have doubled turnover and it has all been organic growth. The foundations are in place to achieve this again in the coming five years. • Investment in innovation, both on the product development side and in operations, is vital. If you don’t invest in R&D as a company like ours you won’t have any success. Sales depend on continued innovation. On the process side, we have put huge resources and effort into introducing lean practices to drive efficiency. We are currently working on achieving Shingo accreditation to highlight our operational excellence.